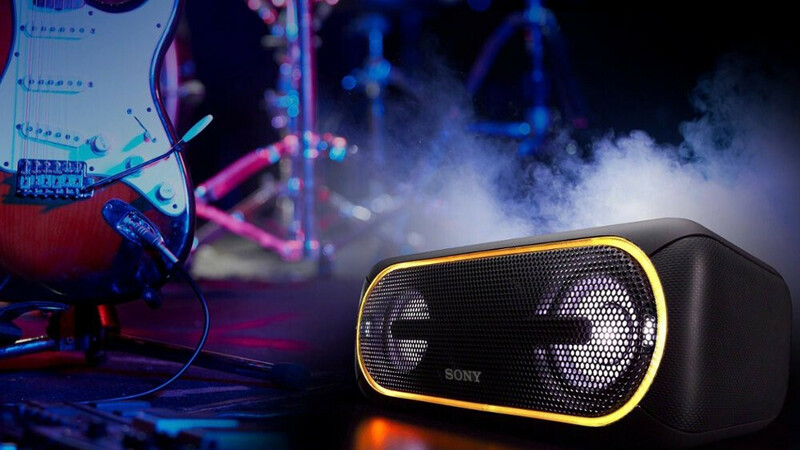 Hot deal: Sony's awesome XB40 Bluetooth speaker is $108 (43%) off at Best Buy, grab one now! Sony's reputation as a maker of high-quality tech can't be disputed, especially when it comes to audio and video products. The Japanese company is also known for charging a premium for its merchandise, so it's always good news when we see a great discount for anything carrying the Sony brand. If you're on the market for an excellent wireless speaker, you should check out the latest deal from Best Buy. The retailer is offering the highly-rated Sony XB40 Bluetooth speaker in black and blue for $140. The gadget is selling for about $248-$250 at Amazon and Sony's official store, so this deal is saving you at least $108 or 43%! The XB40 (XB stands for eXtra Bass) is the largest and most powerful speaker in Sony's XB lineup. One of its signature features is that it can deliver a light show through the built-in multicolored line light, speaker lights and a flashing strobe. You can control the lights, playback, and even add DJ sound effects through the Fiestable app on your phone. The speaker also delivers in the audio department. It supports the LDAC format that transmits around three times more data than conventional Bluetooth audio for a high-resolution sound. The sound is further enhanced by SBS sound decoders and the ClearAudio+ technology that automatically adjusts the sound settings for an enriching listening experience. The XB40 also features dual passive radiators that work together with two full-range speakers to enhance the low-end response and deliver surprisingly powerful bass. The speaker is IPX5 water resistant, can connect wirelessly from 33' away, and its battery lasts up to 24 hours on a full charge. If this deal interests you, feel free to follow the above link to Best Buy. The deal expires on 02/18/2019, so it's advisable to act fast in order to get this great discount. Pretty good deal for a stereo speaker, that is waterproof, has long battery life. Plus it lets you connect almost any device to it. Sadly sound wise it is not really good at all. Even with this discount it's nothing special. That is BS. They sound great, especially since it is stereo. Clearly you don't own one. But please do tell us what is worth this kind of money. Sounds like (pun intended) you have not heard a decent speakers before. Not long ago they were with a 50% discount around here ... meeeh, not good enough. LDAC sure is a fine codec, but pretty much useless for this type of crap.